There’s nothing like an old fashion Christmas tree, full of colorful decorations and twinkling lights, but this doesn’t stop people from using the strangest materials to create their own unique Christmas tree. This happens every year, and 2010 makes no exception, so I thought it would be a great idea to make a list of the wackiest, most outrageous Christmas trees of 2010. Made out of 100 recycled bicycles, the Tree-Cycle Christmas tree, in Sydney’s The Rocks, is definitely one of the coolest Christmas trees of all time. The seven-meter-tall installation took eight weeks to design and complete, and could be admired until December 28, when it was dismantled, and the bicycle parts recycled, once again. Created by a team of young Taiwanese students from the Transworld University of Taichung, this particular tree is made up of around 80,000 plastic spoons. The six ingenious creators entered a competition for the best Christmas tree made from recyclable materials, and their idea actually won. 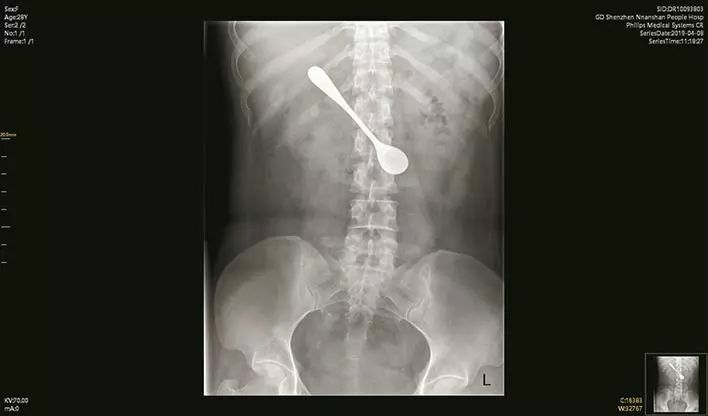 The impressive number of spoons was donated by the Taiwanese branch of KFC. Plastic bottles have been used as Christmas tree material, for a few years now, but the one built by designer Ernest Itzcovitch, in the city of Haifa, Israel is probably the most impressive ever. Made of 5,480 plastic bottles collected by the Municipality, the ten-meter-tall Christmas tree is decorated with thousands of energy-efficient LED lights and aims to raise awareness for environmental issues. I’m sure you’ve seen chocolate Christmas trees at your local sweets store, but Patrick Roger’s chocolate masterpiece is in a league of its own. The master chocolatier spent about a month and used approximately one ton of chocolate (the equivalent of 800,000 regular-sized chocolate bars) to create his giant Christmas tree, at his factory, on the outskirts of Paris. This delicious-looking tree was showcased during a telethon, carved into pieces and sent to the people who donated money for the treatment of neuromuscular diseases. The Christmas tree in the lobby of the Emirates Palace Hotel, in the UAE looks just like an ordinary, beautiful tree you’d expect to see in a luxurious hotel, but it’s the out-of-the-ordinary decorations that make it unique. Believe it or not, this Christmas tree is worth a staggering $11 million. The world’s most expensive Christmas tree itself cost “just” $10,000, but its value kept rising as gold, diamonds, pearls and other precious materials were added as Christmas decorations. One of the most impressive-looking trees of 2010 is located in the Edgemar mall of Santa Monica, California, and is made of 86 shopping carts balanced atop one another. The 33-foot metal Christmas tree was designed by artist Anthony Schmitt, and features various size shopping carts supported by a metal structure that remains invisible and makes the carts seem like they are just perfectly balanced. Created as part of the “Small Bear Big Heart” charity campaign, this Christmas tree was made out of thousands of small teddy bears tied together and hanging from the ceiling of a shopping mall in Beirut. The teddy bear tree helped sell 2,000 teddy bears with the proceedings going to the Lebanese autism society.